Eccles cakes are standard fare in England but they are unknown in Canada. They are little round pockets of flaky pastry stuffed full of currents. You have to be a raisin lover to enjoy these and a cup of tea is a requisite to temper the tooth-aching sweetness of all those dried fruits. Normally, I am not much of a raisin person but I must say that since we left home, there have only been two baked goods that I have eaten that I have thought worth the calories – French baguettes and Eccles cakes. When I get back to the land of internet and ovens, I am going to google me an Eccles cake recipe and try it out. If anyone has a good recipe or tips on making them, please let me know. I am currently having cake issues today trying to make birthday cake for the youngest, her 9th..
ps Wales is so on our travel list. Would your landowner ‘rent’ out to others? 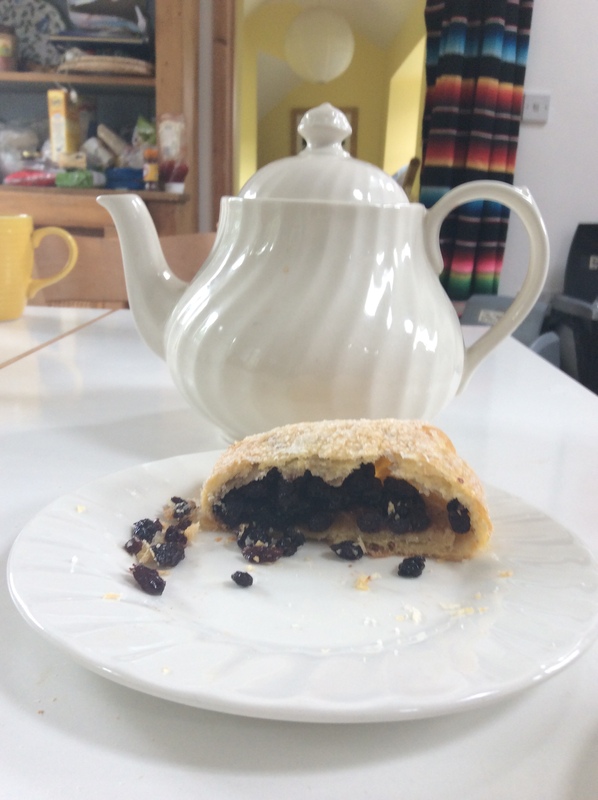 Eccles cake is kind of an old lady cake – not sure it would go over well as a birthday cake for a 9 year old!! Wales is amazing. DO NOT camp here as it rains about 10 times a day. 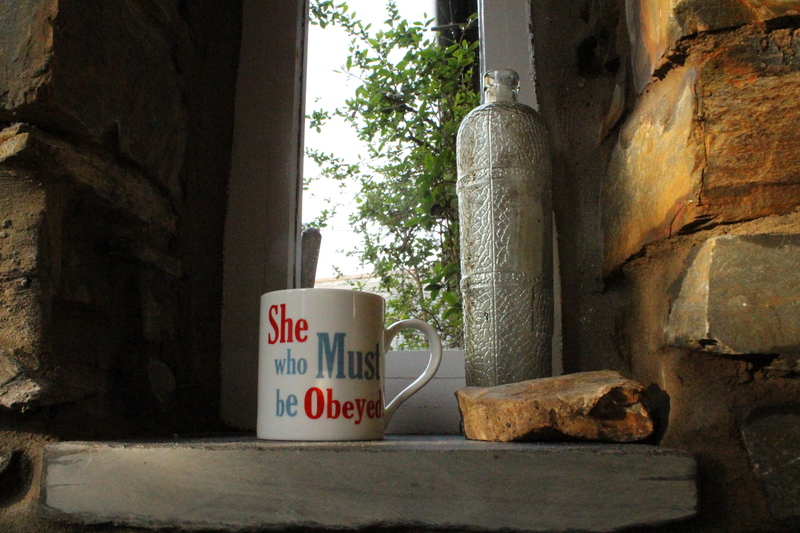 Our hostess doesn’t rent but I will have to compile a list of some good options for you – you guys would love it here. I love that cup! Cool. Okay now I am going to make Eccles cakes for sure cause I need any excuse to eat dried fruits. Thanks for making me hungry!